Hit the road! - Across venues in the UK and throughout Europe we have provided artists and shows of all types and sizes with exceptional touring audio solutions. Including pro audio hire systems from RCF line array, Martin Audio, K&F and D&B Audiotechnik + a large range of rider friendly digital mixing consoles and more ready for all of your touring sound hire needs. ​We specialise in carefully pairing artists with engineers for tours; Making sure that they fit your team perfectly and deliver exactly what you want your audience to hear every show whilst being a great person to have on the bus! Wireless RF gear can be a complicated beast, but no need to worry: Our touring engineers are Sennheiser certified RF technicians and have years of experience. They will look after all of the licensing across the world too. ​We also offer a large range of rider friendly wireless microphone and in ear monitor systems for hire on tours. For artists and management just getting into touring it can be daunting especially if your the support act: So to take some of the pressure off we decided to create predesigned tour audio packages; Each one aimed at a different level of touring to give an artist everything they need for epic sound at every show whilst simplifying it for management. ​From clubs to arenas: when DD Pro Audio is providing your full audio production you can rest assured that your tour will be stress free and sound amazing! Our complete touring systems are available for shows across the world - Get in touch for a chat with our production specialists today! 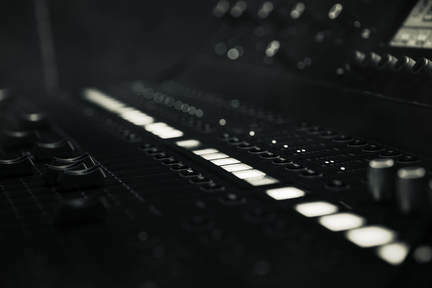 ​ We are an official supplier of Waves Soundgrid and Multirack systems for tours: A game changer in the studio now brought into a live environment, Waves legendary DSP and plugins have now been made available to integrate at zero latency with live sound mixing console: However the technology is a big investment and systems are not often found except at the very top level until now! Capture every moment: With our department DD Media we can provide you with a professional photographer for individual shows or for the whole tour capturing every single moment on and off the stage. Go out with a bang: Partnered with British fireworks champions Blitz we are proud to be able to offer our tour clients the very best in indoor pyro and fireworks effects for their shows on road.